As I believe many book readers are, I’m the kind of person that has no problem with long airport layovers because it only increases my people-watching time. People are so much more interesting when you have a moment to slow down and analyze them, and perhaps try to figure out (or makeup) their stories. Amy Rowland is the literary queen of people-watching. 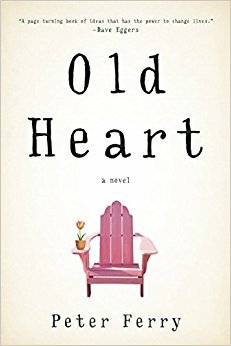 She has combined this practice with the intricacies of emotional introspection, and the result is an intensely self-aware and honest story. The Transcriptionist is the story of Lena, a newspaper transcriptionist who feels as though she’s being consumed by the words that pour into her through headphones each day, and who becomes somewhat obsessed with the news story of a woman who committed suicide through being devoured by lions at the zoo. The Transcriptionist follows Lena as she searches for more information about this now-deceased woman; she meets, and in some cases befriends, an eclectic mixture of characters throughout. The interesting storyline aside, Rowland’s cast of characters is so well-written that they dominate the foreground of the novel, leaving the plot as more of a peripheral train track to keep things moving. 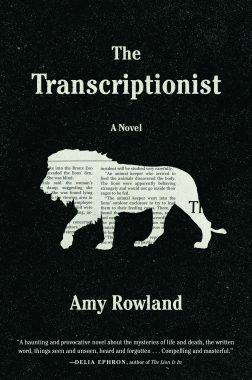 Throughout The Transcriptionist, Rowland offers a keen study of the smaller elements of character development that in other books might be relegated to the background or not mentioned at all. Each character, even a random homeless woman on the street, is treated carefully as an individual. Characters may pass through scenes quickly, but each one that’s even mentioned is put under the microscope, at least for a moment. Through this method, Rowland builds a kind of all-encompassing community, but not in the expected New York-camaraderie kind of way. The reader is frequently reminded that everyone could be a news story, and even if their obituary isn’t printed, they still have worth. Lena herself is beautifully crafted, and it is refreshing and inspiring to have a female character who is quiet and soft, but not meek. She is intellectual, intensely observant, and introspective – all accurate descriptors of the book as a whole, actually. Through Lena, the exponential variety to be found from person to person is highlighted, and the story is inclusive of those who are lost, oblivious, ill-intentioned, flaky, naïve, trod upon, and everything in-between. One of my favorite elements of this book is the curious, misty prose style. 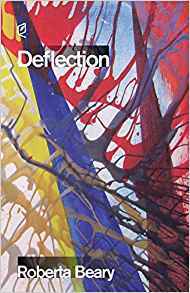 It’s an emotionally complex book, and very contemporary, in that it’s laden with the effects of constant negativity in the printed media. It’s also fascinating, brimming with the strange, but recognizable patterns of human interaction. But Rowland’s writing isn’t dour or heavy or busy, even considering the topics at hand. She navigates through Lena’s mind with a kind of floating, meandering tone, guiding the reader to speculate and wonder, rather than grieve the realities that are presented. Lena knows just as much or as little as the reader does throughout the story, and she judges people as she goes through her days – not in a mean-spirited way, but in the way that we all judge and analyze people we happen across. Really, it’s not so much the story or the writing style that is whimsical and sincere, it’s Lena. The combination of her honest judgements, the way she lives so deeply inside her own head, and her humility is what really makes this story feel the way it does. Although there’s no ego in The Transcriptionist, Rowland does not shy away from adding some well-placed intellectual notes. Lena frequently quotes things – sometimes as a way to alleviate social insecurities, but also unconsciously out of involuntary memory associations. 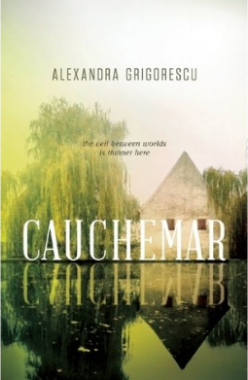 Quotes throughout the book from notables such as Calvino, Chaucer, Thomas Aquinas, Paul Celan, as well as lyrics from hymns, and other classical tidbits lend a well-blended touch of academia and culture. These elevate the book and offer opportunities for the reader to make larger, more philosophical connections to the given moment. They also allow for pause, and a deeper, more careful consideration of the characters and their circumstances, or are sometimes simply nods of humor and wit. It feels as though Rowland has not designed The Transcriptionist to be a book that is devoured, but rather absorbed, slowly, and these references help to facilitate a more thoughtful pace. They’re intellectual speed bumps, if you will. If there were to be a criticism of The Transcriptionist, it may be that the borders of reality seem a bit too fluid at times, and the narrative occasionally slips into a level of fabulism without warning. It certainly adds interest for the reader, but the switch from pavement to clouds was at times abrupt, or unresolved. With a subject matter that is so grounded, paired with such a granular view of it, these moments can catch the reader off guard and the warm cocoon of the story feels cracked open, letting in a draft. However, there are also moments in which the reader is carried through the membrane almost without his knowledge, a seamless transition in and out of an otherworldly situation. So, while moments of refinement may have been necessary, the flashes of surrealism do add a layer of intrigue, regardless of their suddenness. The Transcriptionist is a book in which the reader can glean what he chooses from it. It’s a commentary about death and respecting it, of life and seeing its possibilities, of language and its consequences, of the impact and responsibility of the media, and of people in all their glorious weirdness. While not entirely open-ended, it’s flexible, and there are a number of ways in which the reader can be impacted by Lena’s story, or the many, many stories she finds herself tied to, both from the news room and her personal life. The novel was inspired by Amy Rowland’s time working for the New York Times during the tragedy of September 11th, 2001. Given this context, it makes sense that the novel seems to have a consistent blue filter across its scenes and happenings. Rowland has taken the sadness and overwhelming moments from her experience and masterfully created a story in which the reader can feel and appreciate the heavier side of the human experience. The Transcriptionist is not a “depressing” book, by any means. But it is distinctly honest, and careful not to brighten or dilute the characters or situations into something more palatable or comfortable.